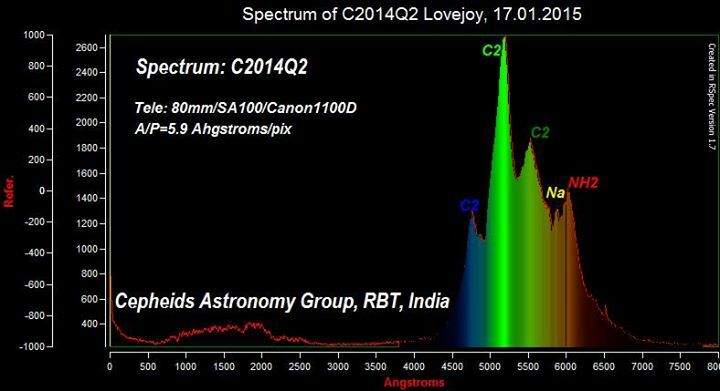 Compare this to work done by physicist W.Swan in 1856, who researched emissions from C-C dimers and published their visible spectrum. 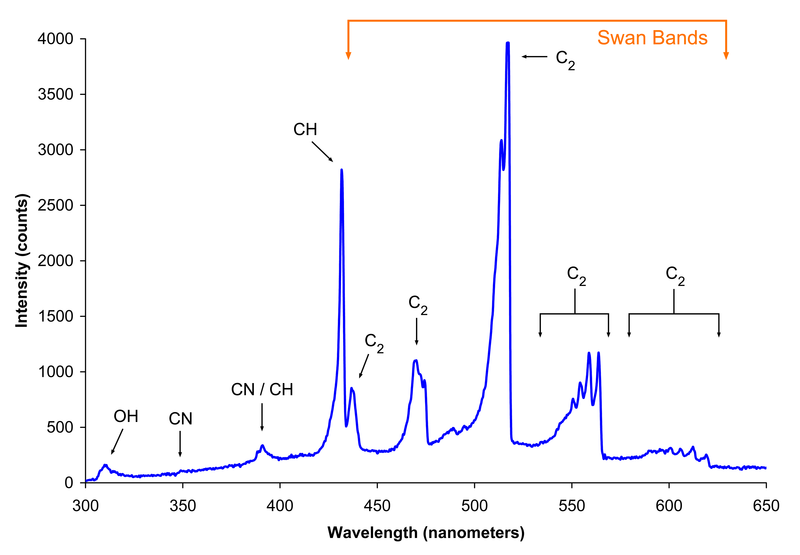 Visible Emission spectra of Butane. The “Swan bands” are annotated.